I cannot connect to WhatsApp! have problem updating your profile or status or favorites list. The most common reason is that your phone is not connected to the internet. Confirm you are using the latest version of WhatsApp Messenger from theMarketplace. Make sure that you have a data plan on your carrier's network or a Wi-Fi connection with a working internet access. IMPORTANT: To use WhatsApp on a Windows Phone, it is important to have a data plan. Devices that are Wi-Fi only can encounter problems. Make sure the signal strength for Wi-Fi or data network is good and that the phone is connected to the network. Some carriers commonly have issues with WhatsApp on Windows Phone, even if it has worked before on other platforms. If websites and other apps are working but WhatsApp cannot connect, it is possible that your network configuration does not permit the type of connections (socket or non-HTTP connections) necessary for WhatsApp. Check your carrier's Access Point Name (APN) settings. There may be a different APN for your carrier that allows non-HTTP connections like WhatsApp. Contact your carrier for APN settings that permit non-HTTP connections. To change your APN settings, please go to settings > cellular. If you have a Windows Phone made by Nokia, try using the Connection Setup app from the Nokia Collection in Marketplace (this application may not be available in some countries). If you change the APN settings, please be sure to restart your phone for the changes to take effect. I accidentally deleted my chats! Can I get my messages back? WhatsApp creates a backup copy of the chat history on your phone, and you can uninstall and reinstall WhatsApp to restore messages from this copy. The first step is to check the time that the last backup file was created. When a backup file is created, your existing WhatsApp chat history will be preserved in that file. Note that any messages that were deleted from your phone before that backup was created will not be restored. In the chats screen, tap on the three dots in the bottom right hand corner. Tap settings > chat settings. You can see the time of the last backup under backup (do not tap backup, otherwise a new backup will be created). Then, uninstall and reinstall WhatsApp to restore that chat history backup. When you reopen WhatsApp, you will be asked if you want to restore a chat history backup that was found. Choose yes. Warning: you will lose all of the messages that you have sent and received since the backup was created. I get notifications/tile updates, but when I open WhatsApp, there are no messages! If you see notifications, but no messages in WhatsApp, this typically indicates a problem with your phone's network connection. On Windows Phone, notifications and messages use different types of connections. It is possible that the connection used to deliver a message may be disconnected while the connection used to deliver notifications may still be active. Push notifications come through a connection to Microsoft's servers, whereas messages come from a connection made through WhatsApp servers. You may receive the notification from Microsoft, but WhatsApp cannot connect to the internet on your phone, which means that you will not be able to receive your messages. You can usually solve this by adjusting your phone's network settings. Please carefully follow the steps of the first faq in this article to properly configure your phone's network connection. Why don’t I get WhatsApp notifications? To ensure the prompt delivery of WhatsApp message notifications, your phone must be configured properly. Notifications on Windows Phone require a strong network connection. If your phone has a bad internet connection, or is on the edge or outside of a coverage area, it may take some time before WhatsApp is able to reconnect to your phone and send you notifications. If the Battery Saver is enabled, notifications will not get delivered to conserve the battery. Please turn the Battery Saver off under Windows Phone Settings > battery saver > Off. Ensure your ringer is on and the All other notifications box is checked under Windows Phone Settings > ringtones + sounds. Make sure that you choose WhatsApp to show a detailed status in: Windows PhoneSettings > lock screen > Choose apps to show quick status: WhatsApp. Make sure that you have configured your Wi-Fi connection so that it stays on when the screen times out. Go to: Windows Phone Settings > WiFi > advanced > check onKeep WiFi on when screen times out. This is only available in Windows Phone 8.0. Why can't I connect to the Push notification server? "WhatsApp detected an issue with your phone that will prevent you from receiving new message notifications." 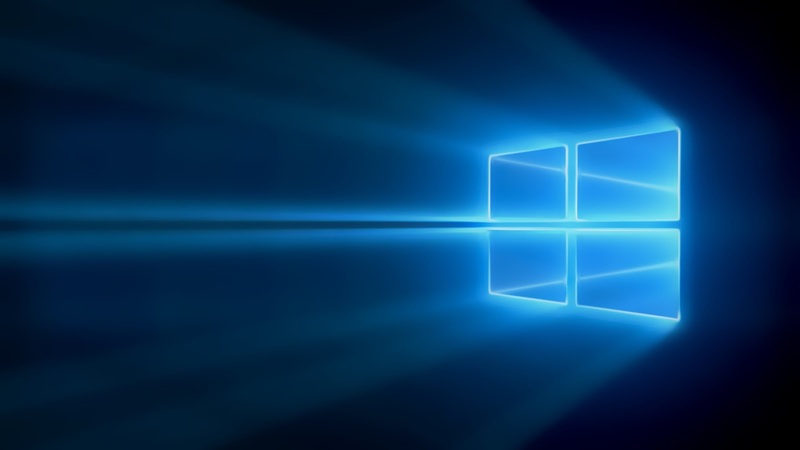 You may have a network issue preventing your connection to the Microsoft Push server.Rebooting your device will help you to reconnect to the Push server. Your device is not on the edge or outside of a coverage area supported by your mobile carrier or your Wi-Fi network. The connection should be reliable. Your device is not alternating between cellular data and Wi-Fi connections. Please make sure the connection is in a steady state. Windows Phone Settings > system > cellular > Data roaming options. I'm getting a new Windows Phone. How do I move my chat history over? Your old phone must have an external SD card and you must have made a backup on your external SD card. Please see the next faq below to learn how to back up your chat history. Your new phone must also have an SD card slot. If all requirements are met, you can transfer your chat history by simply moving your external SD card from your old device to the new one. Otherwise, you will not be able to transfer the chat history at this time. However, you can always export your chats history to your email by using our email chat history feature to keep record of your chats. Please see the next faq below to learn how to email the chat history. Note: You cannot restore chat history from any other phone type to Windows Phone, or from Windows Phone to another phone type. Your WhatsApp messages are automatically backed up and saved on your phone's memory daily. If you delete WhatsApp from your Windows Phone and don't want to lose any of your messages, be sure to manually back up or export your chats before uninstalling. In the main chats screen, tap the three dots in the bottom right hand corner. If you want to restore the backup, please see the second faq of this article. Tap the three dots in the bottom right hand corner > info or group info. Tap the three dots in the bottom right hand corner > email chat history. Note: You may not be able to email your entire chat history due to Windows Mail size restrictions.